A new species of hog has been introduced as an exotic into the wilds of South Louisiana. The little known species is from Africa and goes by the name of Z-boars. Actually someone has to much time on their hands! A few hogs and a can of spray paint go a long ways towards making a very interesting picture. 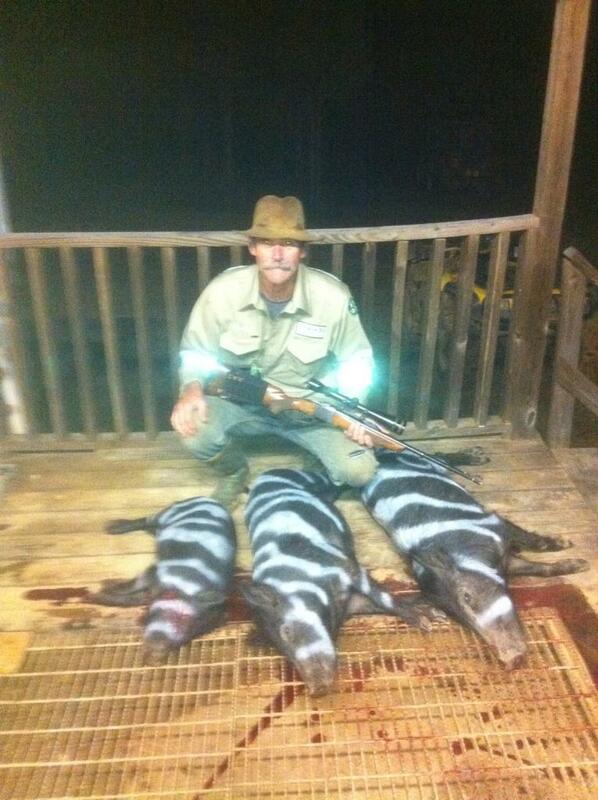 I don't know what is funnier, Z-boars or a guy taking the time to spray paint the three hogs he just shot!